The Newest Rant: Enjoy Your Thanksgiving/Thursday! 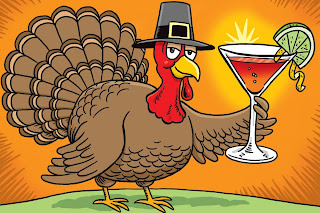 To everyone in America and its territories/protectorates, I wish you a happy Thanksgiving. Everyone else, I hope you have a nice regular ol' Thursday. So yeah, spend time with your friends, your family of birth and/or choice, plus of course have plenty to eat and drink.